A family-owned Canadian company with a proud history and inspiring story. Hi, I’m Mike Schoenberger, founder and CEO of Sunco Communication and Installation Ltd. Telephones have been in my family’s blood for as long as I can remember. My father, Paul Schoenberger, was a telephone cabling contractor back in the 80s and I started working for him when I was only 17. I am proud to have learned under one of the best. My Dad was known for his technical know-how, his ethics and honesty and his commitment to hard work. After he retired in 2000, my wife Jackie and I took over the business and started Sunco in Edmonton, AB. Along with my cousin and now business partner Sean, we continued to grow our little phone company and welcomed our third business partner, Jason Ma, into the fold in 2012. Over time Sunco has expanded to provide full-service telecommunication solutions—from a selection of business phones and phone systems to installation and friendly, in-person support. We love what we do and we are proud that our family has been helping businesses across Canada for almost 20 years. Our success comes from the fact that we work hard to make business communication easier for our clients. We do this by being a Trusted Telecom Systems Integrator – fitting all the pieces of a client’s voice/data systems together into a unified whole. Sunco delivers trusted advice and the latest products and services in a way that is personal, coordinated and just easier. Many of our team members have been with Sunco since the beginning, and many of our clients have as well. We all care deeply about our work and are passionate about communication. We’re a family and a close-knit community, not just another faceless company, and we’re proud to put customer service at the core of everything we do. 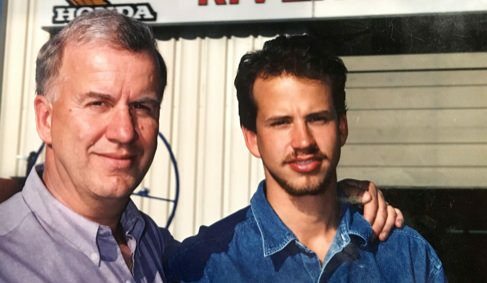 My father passed away suddenly in 2003 before he could see how far Sunco could grow—from three of us working in my basement to now a thriving Alberta business with 23 staff today. I know he would be proud that his legacy of honesty, integrity, and hard work is still alive and well. We’re here to help, whether you are looking for a VoIP solution, internet or voice services or just some fast, friendly telecommunications advice. Give us a call anytime. We’re proud that most of our team has been with Sunco for many years. We don’t just install and service telephone systems, we use the same products on a daily basis. Put simply, we know, love, and live our communication solutions. Our vast network of trusted contractors expands Sunco’s reach to where you need us. From all over Alberta and BC to the rest of Canada, our telecommunications team is ready to help. Tap into our network of complementary service providers in information technology, security and mobility. We’re truly your one point of contact for all things communication. Ready to get our people working for you?